WhatsApp has recently released a new feature of deleting sent messages within a specific time limit. It means if you have accidentally sent a wrong text to someone, you can delete it from the WhatsApp chat and it will be removed from the other person’s conversation too. It is a very cool feature as if you accidentally send something wrong to a person, you can recall it. Surely, there would be so many people who are very happy to have this feature on WhatsApp. Oppositely, some people don’t like it. They want to see the messages they receive from someone. In other words, people want to view each and every message they receive no matter if it was a mistake or not. 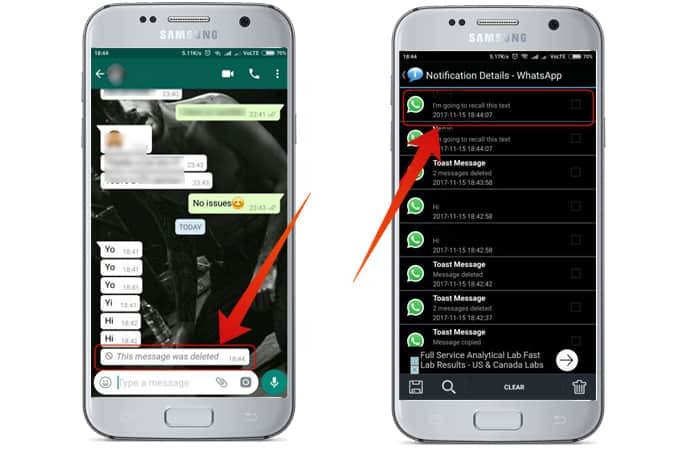 Today, we will show you a trick on how you can read deleted messages on WhatsApp. 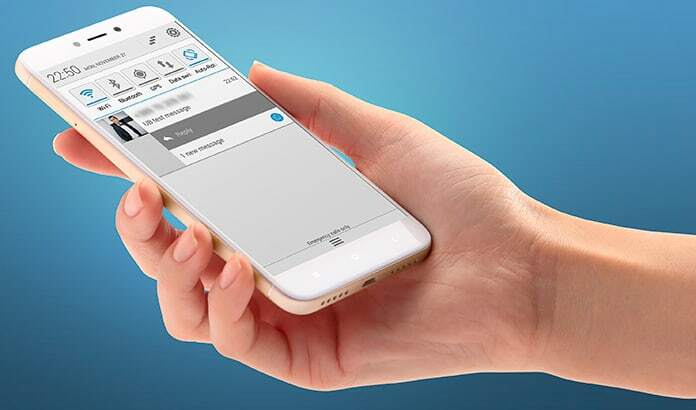 The maximum time to delete the sent messages is 7 minutes. You can delete messages in only 7 minutes after sending the message. After this time, the messages won’t be deleted from other person’s chat, and it would be a permanent message until he/she deletes it. As mentioned above, there are some people who don’t want this feature on WhatsApp. If you are one of those people and want to view your deleted text messages from WhatsApp, we can help you out. There are two major methods of doing this job. We will discuss both of them below. After the release of this feature in WhatsApp, some people of a media group discovered a way to view those deleted messages from WhatsApp. This is a cool trick, and it will help you a lot. In this trick, we will use the notification log of the Android system to view the deleted messages. We know that whenever we receive a message on WhatsApp, it appears on the notification bar. Whenever we receive a notification from some app, it is stored in the notification log. Notification log is a record of all the notifications you receive on your system. So when you receive a WhatsApp message on the system, it will show you the text written in the message. You can directly view it from the notification bar. If the message is lengthy, you will only see the starting text of it. The notification you see in your notification bar is saved in notification log as it is. In simple words, whenever you open notification log, you will see notifications just like you see them in your notification bar. So you can easily read deleted messages on WhatsApp from the notification bar. Make sure the system is not rebooted because notification log only stores notifications until you reboot it. Directly go to Widgets on your system and choose Settings Widget. Not add it to your home screen and select Notification Log from the list. Now just click on the icon and access the notification log. The second method is installing a third party app on your mobile device. If you don’t have access to your notification log, you can try a third party app which is providing the same services as notification log is. For example, you can try Notification History app from the Play Store. Simply go to the Store and install this app on your mobile device.